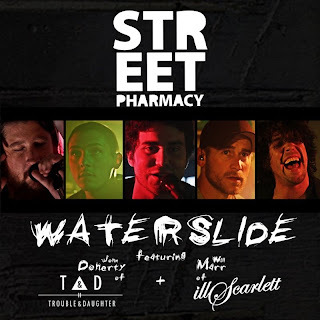 Street Pharmacy, lead by reggae artist Ryan Guay, teamed up with fellow Canadian reggae-rockers and Warped Tour veteran’s members of illScarlett and Trouble & Daughter to create “Waterslide". Fellow collaborator Will Marr, co-producer of "Waterslide" and guitarist of illScarlett has just come off of recording an album with legendary Sublime producer David Kahne. 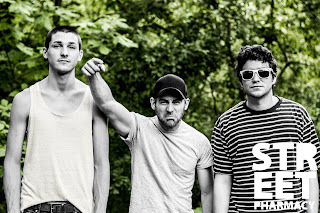 Enlightened by the experience, the production of "Waterslide" returns to the sound of illScarlett’s "Heaters" as well as classic Sublime inspired turntablism to create a track that is true to SoCal reggae-rock grooves; but with a conscious lyrical twist. 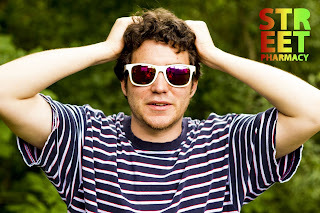 John Doherty was also a member of illScarlett for many years and is the visionary behind reggae-folk act "Trouble and Daughter". Along with being a co-writer on "Waterslide", John is featured as the co-lead vocalists on the track. John is an incredible multi-talented musician, and triples up on Waterslide as an instrumentalist, harmonist and DJ. “There was something raw about scratching real vinyl on this track. It’s somewhat of a lost art form these days. Will, Ryan and I are all huge fans of 90s Golden Age hip-hop so scratching some old vinyl felt right to us. I am glad we did it.” – John Doherty of Trouble & Daughter. Get This Track For Your Own Below! Street Pharmacy ft. illScarlett and Trouble & Daughter "Waterslide"